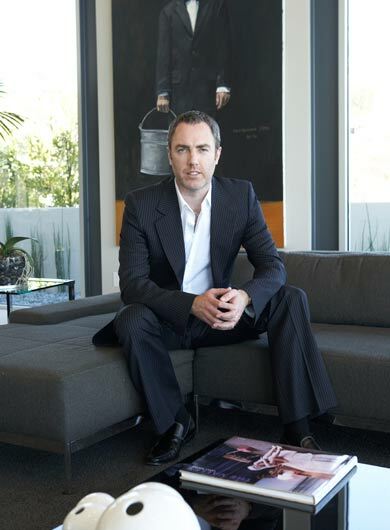 Steve Hermann is an architectural designer and developer of high-end homes based in Los Angeles. As one of the most prolific designers within Beverly Hills, he is known as the go-to-guy for the Hollywood elite. His innovative and imaginative homes are owned by A-list celebrities, entertainment executives and members of the Forbes top ten wealthiest list. His homes have been featured on E!, MTV, ABC, as well as in hundreds of architectural magazines and websites worldwide. Completely self taught, Steve now competes on an international scale against some of the most important architects of today. Bringing a singular vision all his own, he has captured the imagination of a new generation while renewing an interest in architecture. When enveloped within one of his homes, your experience transcends the everyday. A perpetual student of architecture and design, Steve looks to push architecture forward while understanding and improving upon the past. An avid collector of mid century modern furniture and automobiles, Steve is often traveling the world searching for that one special find. He is usually joined by his wife and young daughter.